former Kaizer Chiefs on trial striker James Keene. Kaizer Chiefs currently have five strikers on their books and are considering adding one more striker to the squad. 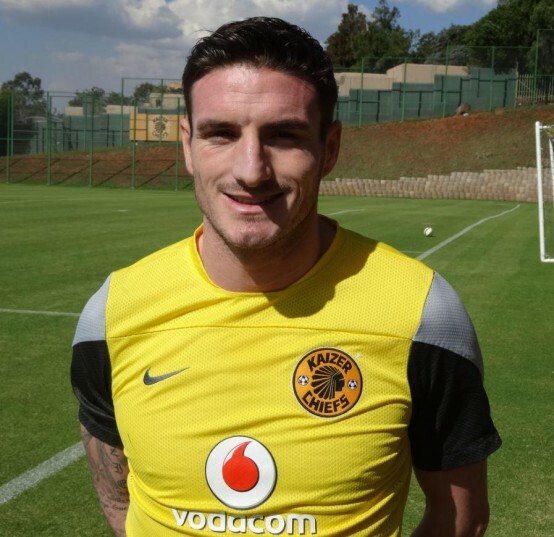 Head coach Stuart Baxter confirmed at the Amakhosi media open day on Thursday at Chiefs Village that an English striker named James Keene was training with the team. “I want to look at James Keene and we will make a decision before the end of the week,” said Baxter. Keene is currently without a team after he recently left Indian Super League side NorthEast United FC. Baxter admitted to “side-tracking” a move to IFK Gothenburg by the English striker, who previously played in Sweden between 2007 and 2012. “He was offered a job at IFK Gothenburg but I wanted him to be here” said Baxter. When asked if he thinks he needs Keene in his squad, He compared his role up front to that of Mamelodi Sundowns’ Mame Niang when playing in the Caf Champions League. “We have strikers but I think we need that sort of striker, it’s like when you go to Africa (Caf Champions League), it would be nice to have a Niang not because he is going to be there all the time but because you want a change-up. Keene gives us that, a change-up,” said Baxter. The striker’s status as a free agent means he could join the squad immediately for the last part of the season. Should the move materialise, a further stumbling block is that new laws mean the Englishman could have to travel to his country of his birth to apply for a work permit.